SPOILERS for tonight's episode of Star Wars Rebels, "Secret Cargo"
With a fourth season of Star Wars Rebels now officially on the books, the final episodes of season three don't have to carry the weight of being "the end" and instead can stand on their own merits. Luckily, with episodes like "Secret Cargo," they're also showing no hesitation in inching - or in this case leaping - closer to the events of Rogue One: A Star Wars Story and Star Wars: A New Hope. We met Mon Mothma (voiced, no less, by Genevieve O'Reilly, who just played her on the big screen in Rogue One) on Star Wars Rebels tonight, and she pushed the storyline forward in a couple of major ways. First, she abandoned the Senate, officially recusing herself from her position as senator of Chandrila. She then declared open Rebellion, announcing to the galaxy - from a well-respected member of the government - that the Empire is detrimental to the people as a whole. Then she took real action, and gathered together, for the first time, the entire Rebel Alliance - she even used the word Alliance for the first time on the show! The gathered Rebel cells also formed up in a notable location, Dantooine. The planet is famous, of course, as the site of a former Rebel base that Leia gives up instead of Yavin-4, where the Alliance actual resides in A New Hope. With these steps, the whole tone of Star Wars Rebels should change. Now in open rebellion, this is the Rebel Alliance that will move further away from small missions and quick strikes, and into the organization that will eventually go into the Battle of Scarif, officially winning their first major victory in the galactic civil war. It would be unsurprising to see Hera get a promotion soon - remember that by the time of Rogue One she's a general, and for the Ghost crew work much more closely with other cells within the Rebel Alliance going forward. This step isn't the end, but it's certainly moving the story of the Rebels of the Ghost into their third act. The Rebel Alliance is here! 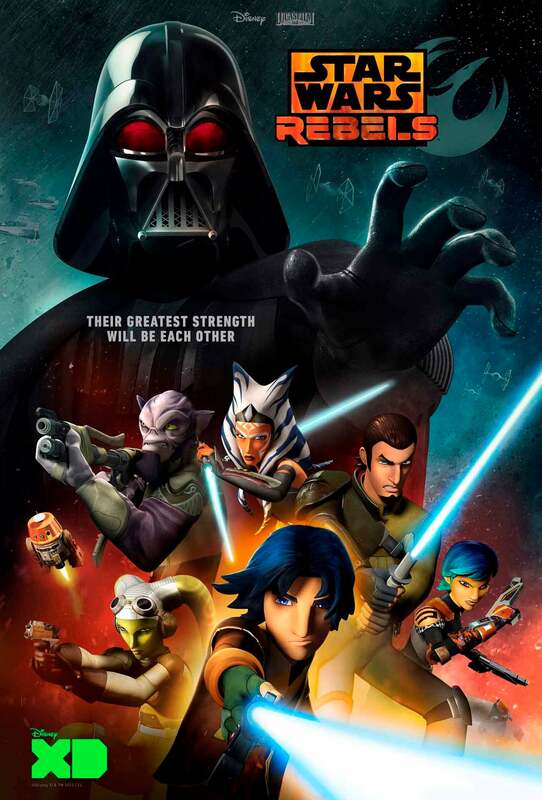 Star Wars Rebels airs Saturdays at 8:30 p.m. ET/PT on Disney XD, and follows the adventures of Hera (Vanessa Marshall), Sabine (Tiya Sircar), Zeb (Steve Blum), and the Jedi Kanan (Freddie Prinze, Jr.) and Ezra (Taylor Gray), a small crew that's finding their way in the nascent Rebel Alliance a few years before the events of Star Wars: Episode IV - A New Hope. Executive produced by Simon Kinberg and Dave Filoni, the in-canon series helps to connect the worlds of the films and the previous animated series, Star Wars: The Clone Wars, with guest appearances so far by characters like Lando Calrissian, Ahsoka Tano, Darth Vader, Darth Maul, Leia Organa, Wedge Antilles, and more.